My parents are both from Maine, potatoland if you don’t know, and I grew up eating a lot of potatoes. A LOT. No complaints from me. I loved them then and still do now. 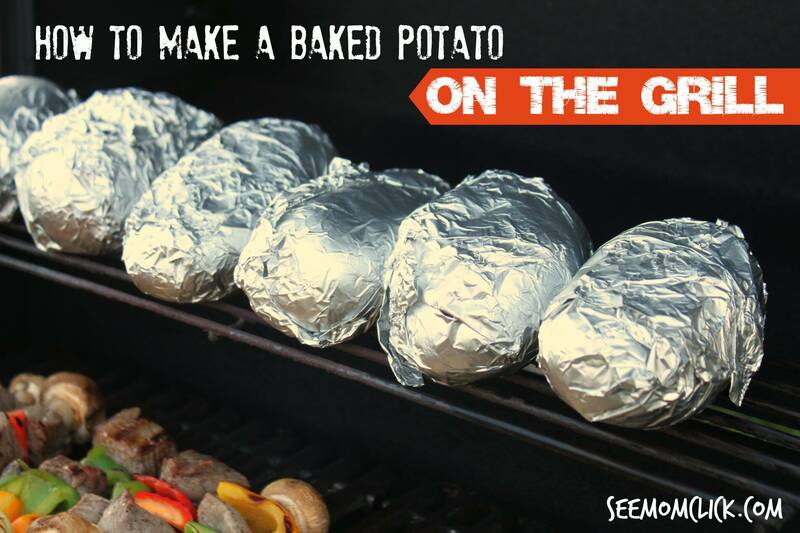 My Mom and Dad almost always made our baked potatoes on the grill and that’s how we do it in my house, too. I love not having to turn the oven on, and as you can see in this picture my favorite way to do it is get the entire meal on the grill. This is so easy and in my opinion potatoes are best on the grill. Get the kids to wrap them in foil! My daughter loves this job. 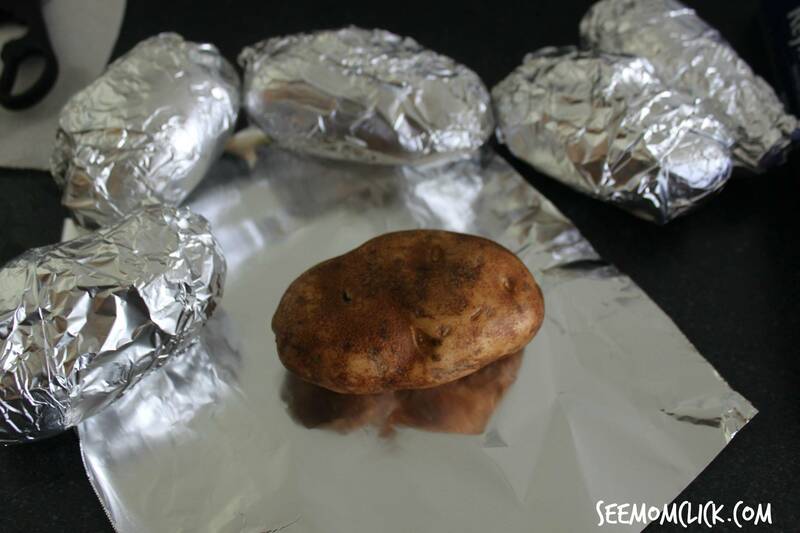 Wrap each potato in aluminum foil. If you want to get fancy you can rub the potatoes with oil and sprinkle with sea salt. This gives a little extra flavor but honestly we don't bother with it often. They're great as is. Pre-heat the grill to medium heat, about 400 degrees. Place potatoes on the grill and cook for about 35-40 minutes, flipping over every 10 minutes. If you have a top grate or warming grate on your grill, you can place the potatoes up there and they'll be less likely to get charred on the skin. But the regular grill grate works just fine. Just make sure you flip them now and then. You'll know they're done when you press the tongs into them and they give a little bit. Remove from the grill and carefully unwrap so you don't burn yourself. Serve with butter, sour cream, or whatever your favorite toppings are. TIP: Red potatoes are my personal favorite but these white ones were on sale that week, so… Also if you want to throw a few extras on the grill the extra leftovers make awesome home fries the next day! You can find some awesome baked potato toppings and recipe ideas here! 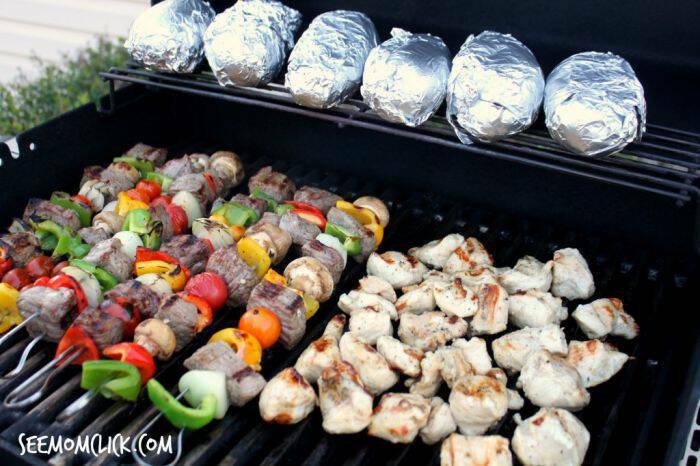 Love this grilling recipe? Check out my recipes for Grilled Ginger Lime Shrimp, Easy Grilled Corn on the Cob, Seasoned Grilled Summer Vegetables, and Grilled Pineapple. I’d love to have you subscribe to my daily email newsletter and get more recipes like this one delivered to your inbox! 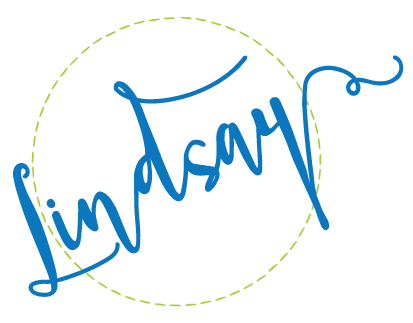 Join me on Instagram to see what else we’re cooking up! Join me on Pinterest for more great summer recipes! I’ve made baked potatoes in the crockpot but never on the grill. We will have to give this a try. Thanks! It’s so easy! I think you’ll be glad you tried it. Let me know how it goes Shelly! I’ve never tried this! Totally going to have to give it a try! Do it Kelly! You’ll love how easy it is. No hot oven either. Woohoo! A good addition to this is to slice the potato every half an inch, slice slices of onion in between each slice, and spread butter on before grilling! I LOVE red potatoes too – more than regular potatoes. If you’re cooking red potatoes this way, could you wrap a few in one foil pouch or would you recommend wrapping each one individually? Great post! I’d wrap them individually so you can flip them and get heat to all sides of the potato. If you slice them and lay them flat, you could do a foil pouch. Those are yummy too!